WiFi Password Revealer is a simple utility to recover a forgotten or lost password to your wireless network. Simple run the program and it will list all wireless network connections along with their security details and the wireless password. 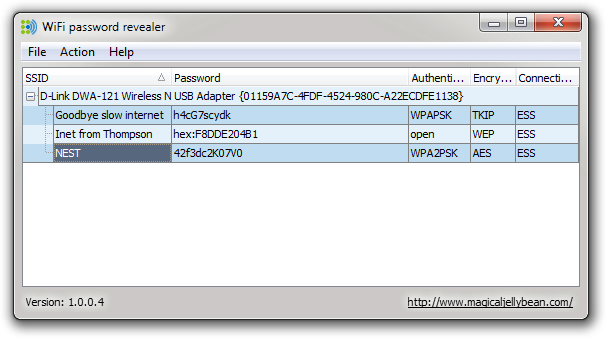 In order for WiFi Password Revealer to be able to recover your password, you must have previously been connected to the wireless network and have selected to let Windows store the password. It will work on Windows XP, Vista, Windows 7 and Windows 8.